Looking For A Date? People that like dates love this product and you will too! The Tarshish family has been selling this jam for 48 years and counting. Sully's Jam has been showcased and sold in some of the finest stores, bakeries, and restaurants in the Midwest. Through our website, we now look forward to offering our Jam to people all over the world! All inquires and suggestions are much appreciated. Thank you and I hope you enjoy! A variety of soft white cheeses, like cream cheese, Brie, Gouda, Stilton and even Blue cheese! Use as a gourmet jam, an everyday jam or even for baking. Sully's Natural Date Jam is unique. This 100% Natural Date Jam contains Certified Organic dates, cane sugar, and lemon juice, giving it a wonderful natural taste. Our Jam contains no fat, no sodium, no cholesterol, and is high in daily fiber. Sully's NEW Natural Date Jam is now available for purchase! "My family has been selling the Original jam since 1962 and it is found in some of the finest stores, bakeries and restaurants in the Midwest." Thank you for visiting our website! 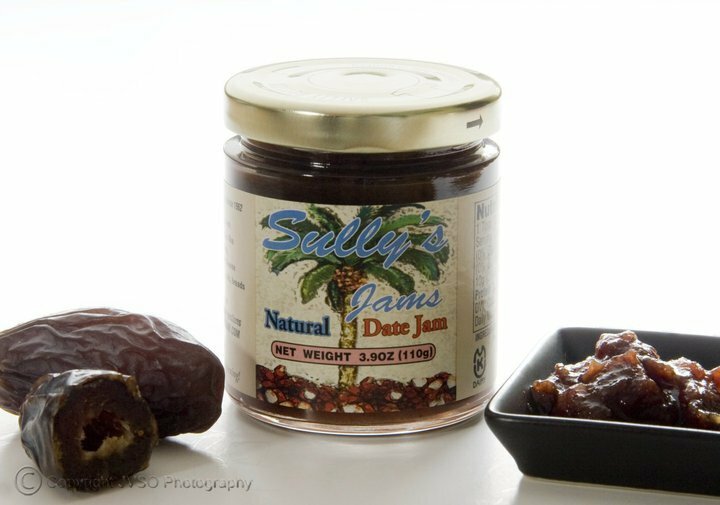 We'd love for you to try SULLY'S ORIGINAL DATE JAM and SULLY'S NATURAL DATE JAM. Our jams go great with any of your favorite soft white cheeses like cream cheese, Brie, Gouda, Stilton and even Blue cheese. Enjoy it on bagels, crackers or bread. It can be used as a gourmet jam, everyday jam or even for baking. My family has been selling the Original jam since 1962 and it has been found in some of the finest stores, bakeries and restaurants in the Midwest. People who like dates love these products!